The Aromatherapist Jojoba Neroli is soft, healing and uplifting. Common Uses: This blend was designed to provide a cost effective and hassle free way of working with Neroli essential oil. It is pre-diluted in organic Jojoba Oil and ready to be used directly on the skin as a rejuvenating facial oil or a luxurious personal scent. Cosmetic/Skin Uses: Often used to treat mature or devitalized skin, thread veins, scars and stretch marks. Used as a personal scent, it is uplifting and intoxicating. Inside Info: For a stretch mark treatment oil, add 20 drops Jojoba Neroli to a 30 ml bottle of Rose Hip Seed Oil. 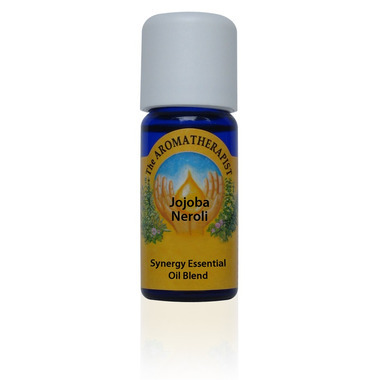 This is a blend of Neroli Essential Oil in Jojoba Oil at 3%, it is safe to be used directly on the skin.